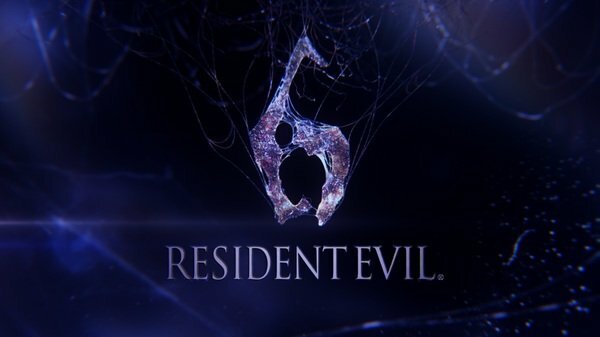 Ever since Resident Evil 6 was first announced back in January, we have only seen snippets of chapter scenarios. It’s been recently with E3 and Comic Con, that Resident Evil fans have been able to view more game play footage. But even then, it was footage taken from the middle of a chapter scenario. Youtuber and video game reviewer DvLZGaME was able to get his hands on extended scenario game play for both Leon Kennedy and Chris Redfield, that shows more of the intro sequences. What are also interesting to note are the loading screen animations and some of the initial trailer images, such as Chris shoving a camera man and Leon and Helena falling out of a helicopter and in to a pit of zombies…too bad that’s not really what happens. Unfortunately, we don’t speak Arabic in this fish tank, so we can’t decipher his commentary but the footage is pretty awesome and worth taking a look. If you don’t mind being spoiled, check out more below. The clip begins with the credits intro to Resident Evil 6. It shows different still images of the game with producers names etc… It truly looks like the intro to a movie. After the credits are over, the screen fades in from black and starts off in first person view with Leon waking up from an explosion. He looks around to see devastation and fire everywhere…He looks over to the right and sees Helena’s seemingly lifeless body on the floor a few feet from him. Suddenly, a helicopter blinds him and starts shooting down at them. He stumbles up, grabs Helena by the arms and the player (still in first person view) has to drag Helena across the floor to safety. Leon gets Helena on her feet and carries her and the two go in to a rickety building. As they walk slowly, limping through the halls, you can see the helicopter outside. Leon takes Helena to a spot to rest and it appears this was once where soldiers were…Luckily he find first aid herbs. Helena solemnly tells Leon to go on ahead she’s slowing him down and he refuses citing they are in this together *cue intense looks toward one other. * As he applies aid, an infected soldier comes out of the shadows and Leon has to fight him off without ammo via a quick time event. Once Leon disposes of the zombie, he patches Helena up and the two head out. There is an interesting conversation with Leon and Hunnigan where they discuss getting to the building with the BSAA and UN hostages. Hunnigan sounds annoyed but he pleads with her to find them a safe route and she does. The next part of the scene is actually what most of us have seen, Leon and Helena running away from exploding cars and in to a helicopter whose pilot suddenly dies in the air. The helicopter crashes against a train, and gets stuck in a sign…Leon and Helena fall out BUT instead of falling in to a pit of zombies, surrounded. They fall on to a glass floor directly above them. The floor begins to shatter and the pair run to solid ground just in time. The last scene features them going through double doors and into a very large open room. The umbrella logo is on the floor and all around are the bodies of dead soldiers. Suddenly a giant foot appears and that’s the end of the video. It features a lot of what we had seen BUT instead of the cool stylized version we had seen at E3 and the Captivate Conference, this was more game play focused. Chris begins in a helicopter where he feels horrible about recent events but vows to make things right, you direct him to jump from the helicopter and once he lands his team gathers around him and they take in the devastation in the horizon. The team then heads over to a set of giant red iron doors. As they open, they are confronted with chaos, people running and some on the floor crying, while others are praying. A reporter runs up to the team saying something about the BSAA is finally here, and if they can get some comment about what they plan to do and what is going on. This is the famed scene where Chris pushes the camera man out of the way and the team continue to proceed in. As they slowly walk in, survivors aren’t allowed to leave and are pleading with the BSAA to save them, some will cling to Chris and you have to shake them off. Once you pass the living, you are quickly confronted with masked men shooting at Chris. Then you have the standard demo bits we have all seen. Chris’ game play wasn’t really anything too new. The video had about 7 minutes of the uploader talking, then Chris and Piers at a bar. I added it too just for the extra 2 minutes of what actually did happen after the bar scene. This entry was posted in General Game Music and tagged BSAA, Capcom, Chris Redfield, game play footage, Helena Harper, Leon Kennedy, Piers Nivens, resident evil 6 on July 29, 2012 by Reina_Rei. Must’a been Capcom giving him heat (or a preemptive measure in case the vids got too popular, which was pretty much happening). PaJamieez Thanks for the heads up!! I’m sorry the videos were made private. It’s out of our hands and I don’t like to re-upload other people’s work. But I did my best to give a general summary in the article right under the videos. I didn’t take the links down in case he ever decides to put them public again. Thanks again for the comment.